On Thursday, February 27, investigative reporters from Public Herald, Joshua Pribanic and Melissa Troutman, will screen their feature-length documentary concerning environmental and health impacts from shale gas extraction in PA since 2007. Triple Divide is a culmination of 12 months of investigations and includes expert testimony. Pribanic and Troutman will lead a discussion and answer questions following the film. This event is free, and will be held starting at 7 PM at the Unitarian Church in Ithaca, 306 North Aurora Street. The film is co-sponsored by the FracTracker Alliance, the Cayuga Lake Watershed Network, and the Social Justice Council of the First Unitarian Society of Ithaca. Triple Divide has been hailed as “the best documentary on fracking to date”. Check out — http://tripledividefilm.org/ — for more info. Click here for more information! Please pass this video on so others hear this message. Thank you. Please voice your well-informed public comments about natural gas in Lansing by August 16th! 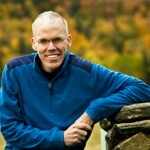 Do you want to bring the power of story into your strategy against fracking? On Saturday, June 22nd – 10:00am to 4:00pm, Shaleshock will offer a Media & Strategic Messaging Workshop in Ithaca, NY. You and other members of your organization are invited to attend. This workshop presents tools for building power and strategy through the lens of story. We will also explore messaging tactics and develop skills with media & campaign outreach. Accessibility: Snacks and lunch will be provided by La Cocina Latina catering. The space is wheelchair accessible. Also, children are welcome and there will be child-care available on-site. Workshops & Trainings provide a space for hands on development of skills and tools for movement building. If you’re interested in signing up to hear about future trainings, click here. We really enjoyed the film and had some great discussion afterwards to come up with ideas for getting more renewable power in Somerville. It’s challenging in our extremely densely populated city of nearly 80K people to find the right conditions. Housing stock is so close together there may not be adequate sun and they are all old and not designed with solar in mind so that can be another issue for folks. We were very inspired by all the great ideas in the film and hope we can get a much higher percentage of renewable power in the coming years! 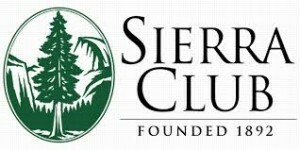 The April 23rd NYC Sierra Club screening was attended by a packed room of 90 people (in a space meant for 75) and after some technical difficulties, people settled in to enjoy the film. Lisa DiCaprio, NYU professor and sustainability expert, introduced the film and led the discussion afterwards by framing the grassroots growth of renwwable energy in the larger context of Ithaca’s participation as a 100% Green city, and their decision to supply all municipal power by renwable energy. Everyone was pleased to get updates about the wind farm and biodiesel, and look forward to hearing more. Stream the whole film for only $2.99 in April! You can watch the entire film online for only $2.99 during Earth Month 2013 by clicking on “Rent” below. Producer Suzanne McMannis attended the screening in March at the Environmental Film Festival in the Nation’s Capitol. An enthusiastic crowd of about 120 people joined her for the evening, including several former Ithacans now relocated to DC. very serious questions about the big picture for renewables. The audience really wanted to know how to move alternative energy ahead in their communities, and the Solarize Tompkins SE campaign seemed to be of great interest. The program of films at this festival was marvelously impressive. It is inspiring to see such a far-reaching commitment among activists and artists to a sustainable future. Please support these films anyway you can with family, friends, and organizations because they are at the forefront of bringing real news to viewers. An old friend of producer Suzanne McMannis was able to attend the Colorado Environmental Film Festival in February. The event is held not far from Denver, and a good-size crowd attended the Friday afternoon screening. 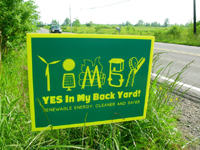 Colorado has initiated a couple of terrific state programs promoting renewables, and it was inspiring for us to bring news of Tompkins County’s own robust commitment to alternative energy and document the support we enjoy from organizations such as NYSERDA. Yay, New York! Is it possible for an entire community to live ‘off the grid’? Well, it is achievable and it’s happening in Tompkins County, New York. In Empowered: Power From the People, the feat that this East Coast town has accomplished is examined to understand how they did it, and how it could be possible for us all. Through pointed interviews with residents and city leaders, this informative documentary takes us behind the scenes to reveal how a small town that lives under a blanket of clouds for most of the year has managed to shed its dependence on fossil fuels and local power companies by using sustainable energy methods from wind and solar power to bio-diesel and geothermal energies. Positive and motivational, Empowered: Power From the People paints an enlightening portrait of a town in the midst of an energy revolution.